Drafting of the second document started in 2010. Two rounds of comprehensive, open consultations were held in traditional areas of residence and economic activities of Sakhalin Indigenous Minorities, in order to get their input on the development of SIMDP-2. Consultations were held in 10 settlements on Sakhalin, with more than 500 representatives of Sakhalin Indigenous Minorities participating. 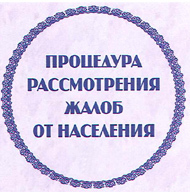 The work group tasked with drafting the SIMDP comprised representatives of the Regional Council of the Authorized Representatives of the Sakhalin Indigenous Minorities, Sakhalin Energy, Sakhalin Oblast Government, Sakhalin Oblast Duma and RAIPON (Russian Association of Indigenous Peoples of the North, Siberia and the Far East) and international experts.